Centricity GIS provides you with a true platform that allows you manage, track, and analyze your infrastructure assets via the Cityworks asset management solution. 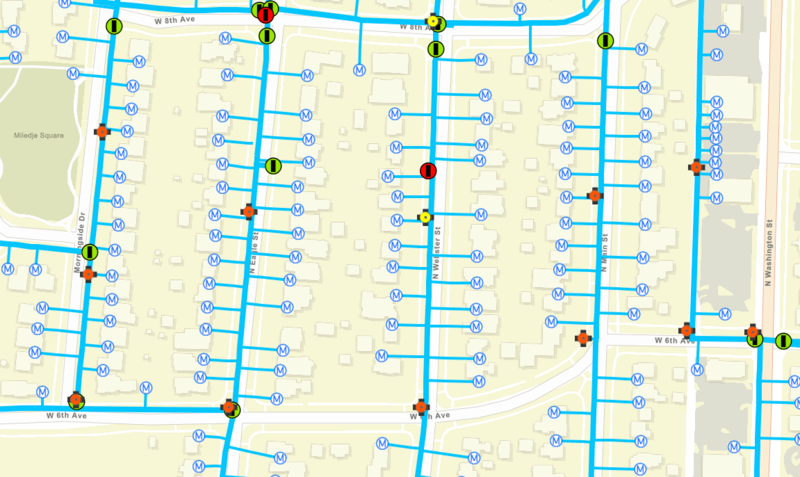 Cityworks is a GIS-Centric software solution that combines the power of ESRI ArcGIS with the Cityworks robust asset data management repository. This combination allows users to make quick, intelligent and cost saving decisions using inspections, condition assessment, work orders and service requests. The ability to create Service Requests, Work Orders, Inspections and Permits and tie them back to an asset or group of assets allows for the robust application to server the needs that your entity has. With highly configurable capabilities, Centricity GIS can build the Cityworks system to fit into your work flows and organizational needs. Tightly integrated with ESRI ArcGIS, we are able to be configure your current GIS structure to tie in with Cityworks allowing for quick implementation of your Asset Management System. Service Requests – Track citizen requests via Service Requests to take a call to action based on citizen input. Work Orders – Manage work activities tied to infrastructure assets within the system including tasking and tracking of equipment, labor and materials. Inspections – Ability to record observations, tests, and condition assessments to drive management and reporting. Permitting, Licensing and Land (PLL) – Accommodate a variety of workflows that involve application, review, approval and expiration cycles, including management of the associated fees. Additional Modules and Tools – In addition to the core software, Cityworks offers additional modules and tools to extend the functionality of the system, including Storeroom, MicroPaver integrations, CCTV Integrations, Citizen Engagement Apps, equipment management and more. API’s – API’s are available that facilitate easy integration with other enterprise systems or development of custom applications to make ease of use within your organization. With over 15 plus years of experience, Centricity GIS is committed to helping our clients get the most of the the Cityworks Suite of software. From basic AMS functionality, to in depth custom inspections and work flow analysis. We can provide your organization with the skills, knowledge and personnel that you need in order to maximize your ROI with Cityworks.